The recent release of LibreOffice 3.4 demonstrates the very philosophical differences in community projects and those stifled by commercial interests. LibreOffice development has been happening at an unprecedented pace while OpenOffice lagged behind and lost many of its previous users. Even under Sun development was tightly controlled, but Oracle increased the bonds. In contrast, according to the release announcement, LibreOffice now has 120 happy developers committing approximately 20 changes per day. Cédric Bosdonnat puts the number of contributors at 223. Italo Vignoli is quoted as saying, "We care for our developers, and it shows." Most folks just want to hear of the pretty and handy features visible in their daily work, but underestimating the impact of code clean-up is a disservice to developers. These code clean-ups are what leads to faster operation and fewer crashes. Michael Meeks calls this "ridding ourself of sillies." One area in which these two world merge comes in an example given by Meeks: icons. He said, "OO.o had simply tons of duplication, of icons everywhere" - approximately 150 duplicated missing icons. He added, "All of that nonsense is now gone." A font memory leak has been fixed and rarely used encodings have been moved out into their own library. This "reduces run-time memory consumption" and shrinks download size. Writer has gotten some eye candy like gradient color backgrounds, drop shadows, and colored footnote separators to spruce up the appearance. A new font engine makes text prettier and faster. Flat ODF filters can make .odf files more accessible to other applications. 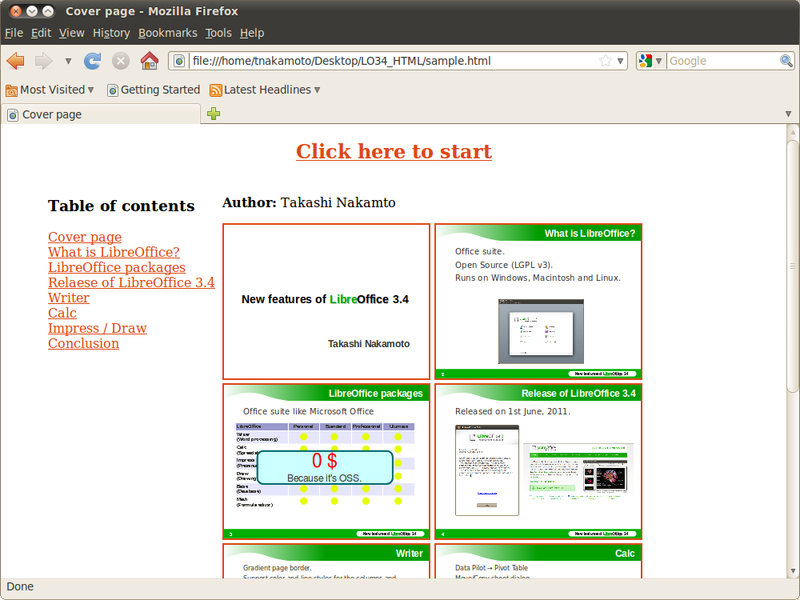 For the Ubuntu user, Unity global menu support has been added and improved GTK+ integration gives LibreOffice a native look. Better mouse theme support adds a little more polish. Encrypted document passwords can now be changed while the document is still open. The full list of changes and most annoying bugs is located on the wiki. Version 3.4.1 is scheduled for release on Jun 29, 2011, with patch version releases coming pretty much monthly afterwards. 3.5.0 is expected on Feb 8, 2012 and 3.6.0 Aug 1, 2012. Release dates are scheduled every six months and largely synchronized with popular Linux distribution releases. Releases are supported for one year. Michael Meeks published a "Why LibreOffice is the Future" article back in May. In it he enumerated many reasons LibreOffice is a better choice than OpenOffice or others. He posits that LibreOffice is vendor neutral, whether your talking about Red Hat, Novell, or Canonical. He also thinks LibreOffice isn't vulnerable to contributors leaving because it's a community project with lots of other participants. Another point is that "Linux distributions are safer with LibreOffice" because of the new time-based released schedule and stability from a diverse contributor base. See his full article for more. According to Steven J. Vaughan-Nichols Attachmate and Novell will continue to support LibreOffice. In addition, in response to the Oracle OpenOffice contribution, Holger Dyroff, Vice President of Business Development, SUSE said, "SUSE is continuing to invest in LibreOffice and The Document Foundation. SUSE is looking forward to the future contributions of IBM and potentially others into this new ASF incubator project, but would certainly have liked to see such contributions go directly to LibreOffice. We will follow the incubation process very closely to understand future opportunities and possibilities which can improve our offerings for our users and customers." 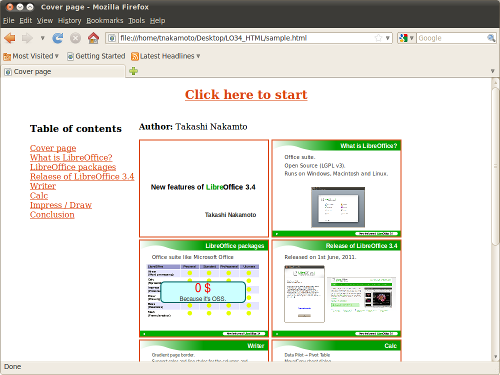 If you been following the development of LibreOffice through their announce mailing list, that's over now. The foundation has decided to only announce stable / final releases on that general list from now on. Developmental releases will be announced on a few lists used primarily by developers. They said this is to avoid having users trying to use developmental releases in production environments. It's doubtful very few actually risked critical work environments and trying to limit the use of developmental releases could possibly result in fewer bug reports. Time will tell. 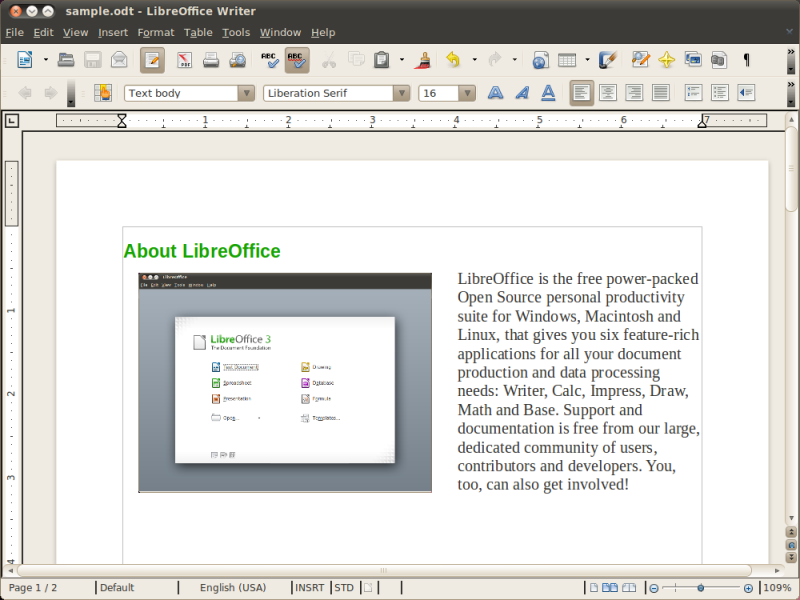 On the other hand, LibreOffice has taken off like wildfire. Developers and contributors continue to flock to LibreOffice's corner and distributions are switching left and right. Under the community-contribution model, new features and code improvements are being integrated at an amazingly rapid pace. Again, this is all the better for users. So, just about anyway you look at, the ordinary everyday Linux user is the benefactor of all this code shuffling. It's exciting to watch as well. The next few months will be especially interesting as we begin to see how Apache Office progresses and if the Apache license will end up attracting more developers than LibreOffice's LGPL.